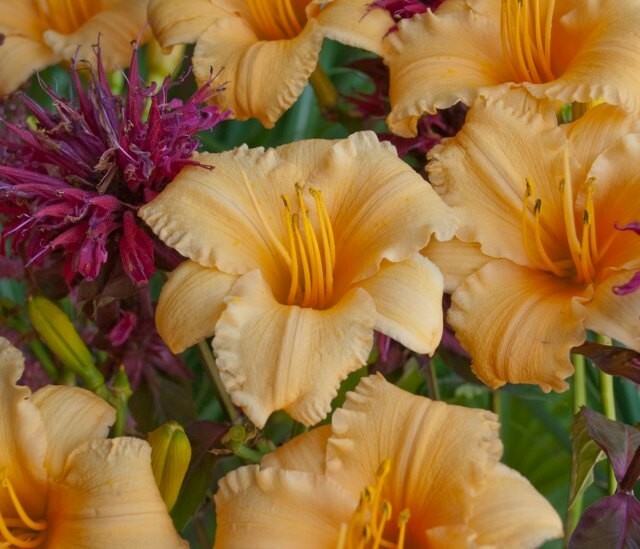 Daylily 'Apricot Sparkles' is a lovely little dwarf with an early bloom and a strong reblooming habit. The flower is deep apricot with attractive ruffling on the petals. The flawless blooms sparkle with heavy diamond dusting.